And didn’t have the decency to notify Gateway Pundit before a committee member blabbed it to the liberal media. 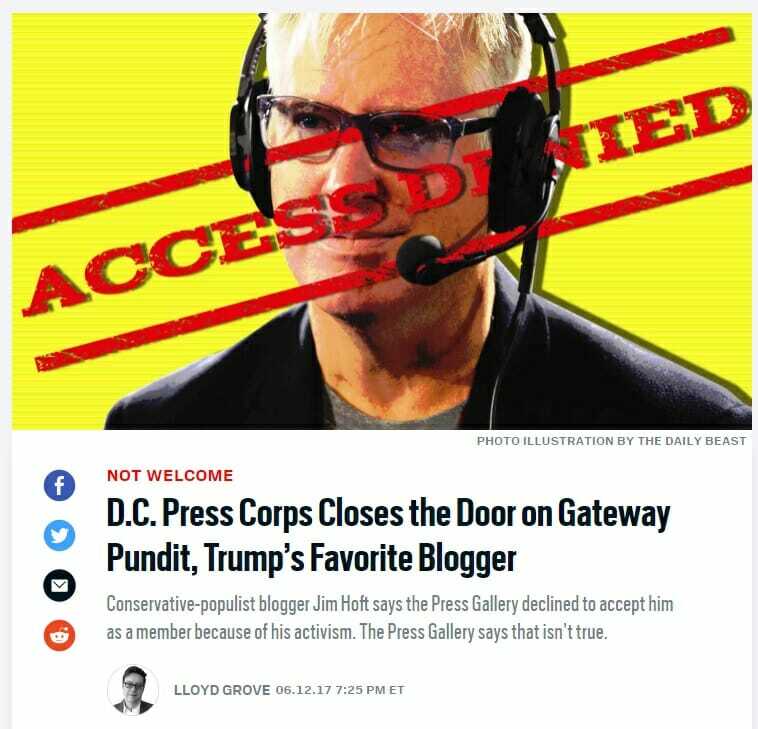 As TGP previously reported, on Monday, June 12th 2017, The Gateway Pundit’s founder and EIC Jim Hoft along with D.C. 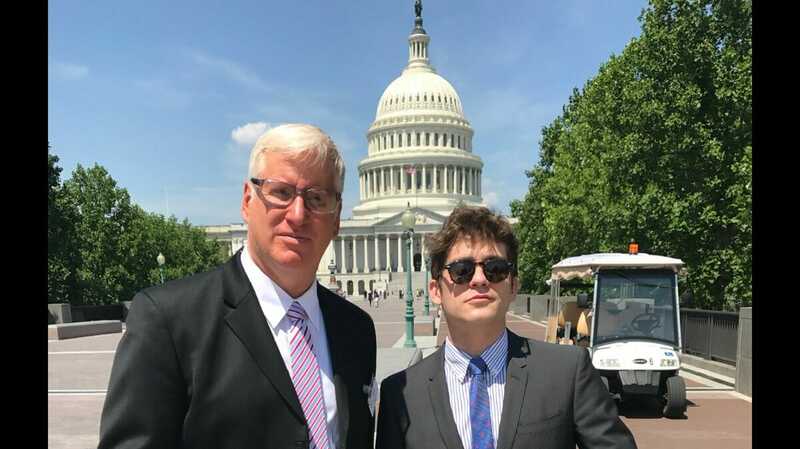 Correspondent Lucian Wintrich and Media and Ethics Lawyer, Charles Glasser, counsel to Gateway Pundit, met before the Senate Press Gallery Executive Committee. We argued the implications and the necessity for alternative voices in the room – voices that aren’t financed by special interests – but voices that are a specific and genuine reflection of the voices of America and every day Americans. The Gateway Pundit was one of the largest and most vocal pro-Trump websites before the November election. We later received a call from a liberal reporter that we did not win our appeal. The committee’s decision was leaked to the far left Daily Beast. On Monday evening at 7:25 PM the Daily Beast released their report. You can read their report here. We went into the hearing on Monday with good faith and with the expectation that we would be treated fairly and that the committee would listen to our arguments. But we were told by Lloyd Grove at The Daily Beast that the committee rejected our appeal the minute we left the room. The committee could not block our access due to our funding like they did with other news organizations. They accused us not reporting enough original content. Have they even read their own websites? Our readers would take offense to that. The Gateway Pundit has over 15 million page views a month. Has over 14 million unique visits. The Gateway Pundit breaks national stories that are regularly cited by The Drudge Report and FOX News. The committee’s arguments just don’t hold water. Update:Tonight when I saw the committee had released their decision to the Daily Beast and has yet to contact us I was furious. This shows a level of dysfunction and maliciousness that shocked us. I spoke with our attorney tonight and we are going to discuss legal options and next steps in the coming hours.